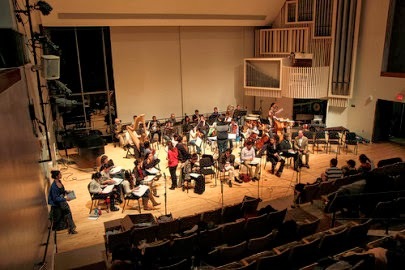 (Author's Note: The following piece is a preview of and set of interviews with the cast and crew of the Swarthmore College concert performance of South Pacific, which is being staged in honor of the College's Sesquicentennial Celebration. James Michener, the author of the text on which the musical was based, was a Swarthmore graduate, and what better way to honor one of our own? If any of my readers are in the area, I highly encourage them to come to see this event. On Saturday, February 15, and Sunday, February 16, the Department of Music and Dance presents South Pacific: In Concert which displays the talents of many Swatties, both in the cast and in the orchestra, and pays tribute to the college’s own James Michener ’29 as part of the Sesquicentennial Celebration. South Pacific, based on Michener’s Tales of the South Pacific, first debuted on Broadway in 1949. It follows the intertwined stories on an island in the South Pacific during World War 2, concerning a group of American soldiers and nurses, a French planter, and several natives of the island. The cast and directors of South Pacific. 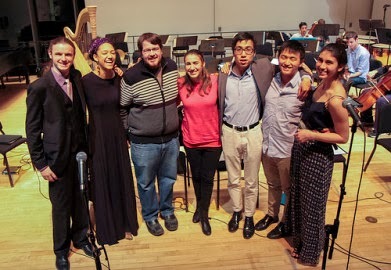 From left: Aaron Kroeber '16, Kimaya Diggs '15, Jeremy Rappaport-Stein '14, Audrey Edelstein '15, Paolo Debuque '15, Daniel Cho '15, and Laura Katz '16. Photo by Martin Froger Silver '16. Courtesy of the Daily Gazette. All-American nurse Nellie Forbush and French planter Emile de Becque hit it off despite their age and cultural differences, yet when Nellie learns of Emile’s children by a native woman, she must deal with her own subconscious racial prejudices. Bright young soldier Joseph Cable is devoted to his duty until he meets local entrepreneur Bloody Mary and her daughter Liat, with whom he falls in love. Since the 1949 debut, South Pacific has been made into a film (1958), a television movie (2001), a concert in Carnegie Hall (2005), and a revival on Broadway in 2008. Set to classic songs by Rodgers and Hammerstein, including “Some Enchanted Evening” and “Younger Than Springtime,” this musical is notable not only for its emotional and romantic qualities but also for being extremely progressive for its time. To the modern Swattie, however, there are aspects of the musical may be considered racially or sexually problematic. As I watched the rehearsal and interviewed many of the students involved in its production, I got the inside scoop on the acting, singing and directing of South Pacific: In Concert. I interviewed Laura Katz ’16, who plays Nellie Forbush, about her involvement in the musical and her overall experience. Katz first experienced South Pacific as a girl, when she went with her family to the Lincoln Center Revival in 2008. The music stayed with her, and so when this concert was announced, she jumped at the chance to participate. “I had to be a part of it,” Katz said. What I was particularly curious about was how each actor in this concert approached their character. While Nellie is the protagonist of the musical, she is a complex individual who must address her own ingrained racism and prejudice towards the island’s natives. What I wanted to know was how Katz approached this character—how she planned to keep her sympathetic in the audience’s eyes, while still condemning this ugly part of her personality. Despite the emphasis of this concert on the music of the show, I was still eager to know what kind of acting choices Katz made, and how she got inside Nellie’s head. “It’s really important that I try and show how much she really despises that part of [herself]. She realizes that it’s a really terrible thing,” Katz said. While Katz acknowledged the racially problematic aspects of the show, she believes that ultimately, South Pacific shows a changing America, an America that is more accepting of others. She also believes that Nellie is a symbol of that new attitude. “She’s trying to change and eventually she does, […] but it’s about rooting out prejudice, and I think the reason that she’s a sympathetic character in the end is that she does want to combat that,” Katz said. For Katz, the highlight of working on the production has been working with the cast and hearing the orchestra. Her favorite song of Nellie’s is “Honey-Bun”—look out for Katz and Daniel Cho ’15 in humorous costumes during this number. The latter costume she would not reveal to me. Aaron Kroeber ’16 plays Emile de Becque, a French planter on the island and Nellie’s love interest. 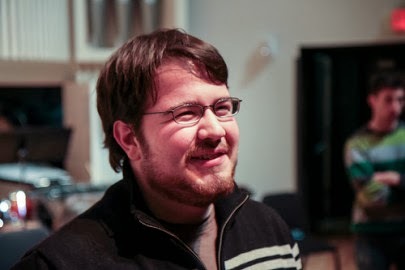 Kroeber’s easygoing manner and mid-range speaking voice belies the deep, operatic tones that he uses in Emile’s songs, creating an interesting contrast between the college student sitting before me and the mature, fifty-something French planter. When I asked him how he analyzed Emile’s motivations and backstory, he demurred. “I’ve never really worked that way in acting. So the backstory and the things like that—in general, I don’t find it particularly useful for my [general] process, and for this [concert], even less so,” Kroeber said. He prefered to focus on creating the character’s physicality and speech, making him real and present for the audience watching the show, rather than living in the character’s head. While Kimaya Diggs ’15 was not very familiar with the show, she was eager for a chance to participate in a singing performance. Compared to Nellie and Emile, Bloody Mary’s character is not developed or explored in the same way, and suffers from old-fashioned racial stereotypes. I was extremely curious to hear how Diggs approached the characterization of her role. “At first, I was very wary of playing this role, because she does speak in a made-up dialect to seem ‘exotic,’ and I wasn’t super comfortable with that, and I wanted to make sure that when I was playing the character, I was playing her responsibly and respectfully,” Diggs said. She noted that it is a period piece based on a book with a progressive view of race relations, and acknowledged that Rodgers and Hammerstein had to soften that message for a broader audience when they created the musical. To prepare for a more nuanced portrayal of this controversial character, Diggs read the Bloody Mary story in the original Michener book. She mused on the “unique connection” that Mary and Joseph Cable have in the book, one that is unfortunately lost in the translation from page to stage. “I was trying to move away from the idea of a caricature,” she said. To Diggs, Bloody Mary is “making the best of a bad situation. Her island has been overrun by these American soldiers and plantation owners, and she has this huge grass skirt business. She’s incredibly rich in her community. And so she’s […] taking advantage of the fairly bad circumstances that she finds herself in.” What is also key, Diggs said, is that Bloody Mary isn’t looking to marry her daughter Liat to just anyone—she is “vetting” the soldiers and looking for someone that she respects. It turns out that Joseph Cable is that someone. When I sat down with Paolo Debuque ’15, who plays Lieutenant Joseph Cable, he talked at length about the challenges of staging this musical for a contemporary audience. Cable begins the show as a bright, young American soldier who falls in love with Bloody Mary’s daughter, Liat. Debuque focused on his character’s transformation as the musical progresses. “I try to bring that out with a very straitlaced delivery at the beginning, and less so as the play progresses,” Debuque said. What modern viewers will find problematic in the relationship between Cable and Liat is that said relationship is orchestrated by Bloody Mary, Cable and Liat barely speak onstage, and that Liat seems to not have much choice in the matter. I asked Debuque how he grappled with this fact of the show and his role. “It is a little weird […] and kind of sexist from our modern-day lens, the way that relationship is portrayed. I think the key to it, though, is the delivery of “Younger Than Springtime,” because I think if I’m not careful, it can come off as condescending and […] a fantasy on Cable’s part, where he’s not thinking of her as ‘Liat,’ but as this exotic jewel. And so, I think the key is to deliver that song as a very directed piece towards Liat and not as just a generic beautiful love song,” Debuque said. Debuque also enjoys Cable’s other song, “You’ve Got to Be Carefully Taught,” which directly lays out how racism is spread in society. No one is born racist, the song argues, but people are taught to have prejudices against one another that ultimately cause great harm. “It’s a really important song that encapsulates everything that was progressive about South Pacific,” Debuque said. 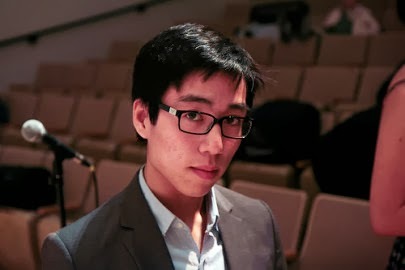 Daniel Cho ’15 plays the comic relief character Luther Billis, a lazy soldier on the island. He auditioned for the show while abroad; he sent in a video of himself singing “Sometimes a Day Goes By,” his go-to audition song and wasn’t expecting to get a large role. Since Luther doesn’t have any bearing on the plot of the musical, I was curious to see how Cho approached the role and made Luther a living, breathing character. While Cho did look at other portrayals, it was important to create his own version. “I did have a bit of trouble relating to him because he’s a strapping General figure, a straight male, which is a little hard for me to identify with,” Cho said. “The connection that I really made was the comic relief and that’s how I got into the character,” Cho said. He stressed that Luther does have a few key lines in the show that really create the moment, so it’s important to him that he nail the delivery. While he doesn’t feel under pressure to steal the show, he admitted that it seems like a pretty cool idea. He reiterated Katz’s advice to watch out for “Honey-Bun,” his and Katz’s duet, in which he may or may not be wearing an unexpected costume. Jeremy Rappaport-Stein ’14 and Audrey Edelstein ’15 tag-team direct the show, and each conduct half the show musically. When I asked Rappaport-Stein about the challenges of showing this musical to a modern progressive audience, he responded thoughtfully. “In many ways, it’s quite dated. In terms of its language and in terms of its attitude, it’s incredibly problematic, especially the character of Bloody Mary,” Rappaport-Stein said. He also highlighted the character of Liat as a particularly problematic aspect of the musical, noting her lack of characterization and minimal amount of lines. He conceded that the musical, for its time, was quite progressive, and that some of the themes of tolerance and being able to work through problematic views are still important today. “I think the questions it brings up are timeless questions, and we could view it in this little historical bubble of 1949, but also think about how the themes it brings up are timeless,” he said. Rappaport-Stein agreed that while Nellie is a strong symbol of changing race relations in America, the way Bloody Mary is stereotyped is particularly galling. “I know the first time I went back and listened to some of the lyrics and looked at some of the text, it made me feel a little uncomfortable. But I think […] by the same token, that [we can’t] excise that from the show, because I don’t think we’d be showing as full and complex and interesting a picture of American art in 1949,” he said. When I asked him to expound about the aspects of gender in the show, he highlighted the song “There is Nothing Like a Dame,” which represents aspects of American culture at the time, especially American military culture, as particularly emblematic of sexist content in the show. “You have to present the entire piece,” he said; it’s important to take the bad along with the good. Rappaport-Stein added that the issues of race and of gender in the show will be addressed in a panel set to take place before the first concert, which will feature faculty adviser Andrew Hauze ’04, Professor of Music Mark Lomanno, and Professor of Dance Pallabi Chakravorty. Rappaport-Stein has found the entire experience of conducting an orchestra and participating in a musical production both a challenge and a reward. “Hearing these really rich incredible orchestrations and to hear the singers we’ve got together […] has been incredibly rewarding,” he said. 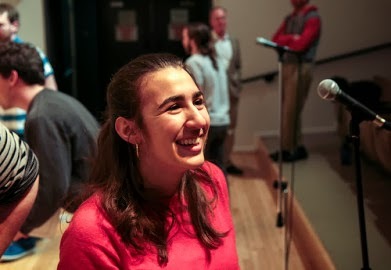 Lastly, I caught up with Audrey Edelstein ’15 to talk with her about the show and her experience as co-director and co-conductor. While Edelstein couldn’t pick just one favorite musical number from the show, she singled out “Honey-Bun” as a sure delight. She also singled out Diggs’s and Katz’s voices. “I know it’s kind of a cop-out, but I’m really proud of all the numbers we’re doing,” Edelstein said. What an awesome review and set of interviews! Sounds like it was a great show!